“Breit” means “broad”: a fitting description for this mountain crest with multiple peaks, which extends for more than two kilometres. 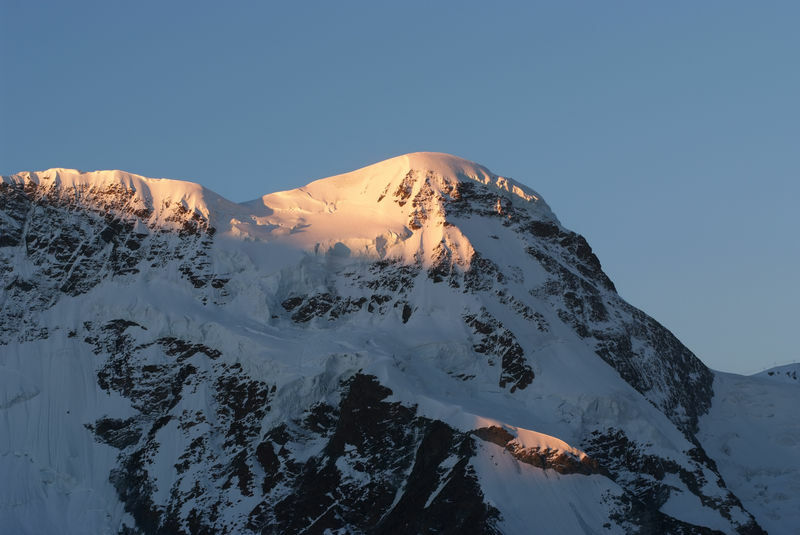 The western summit is the highest, but is also considered the easiest to climb. The middle and east summit and the Breithorn Twins form a chain towards the east. The most easterly summit, which marks the end of the Breithorn, is the Schwarzfluh (Roccia Nera). 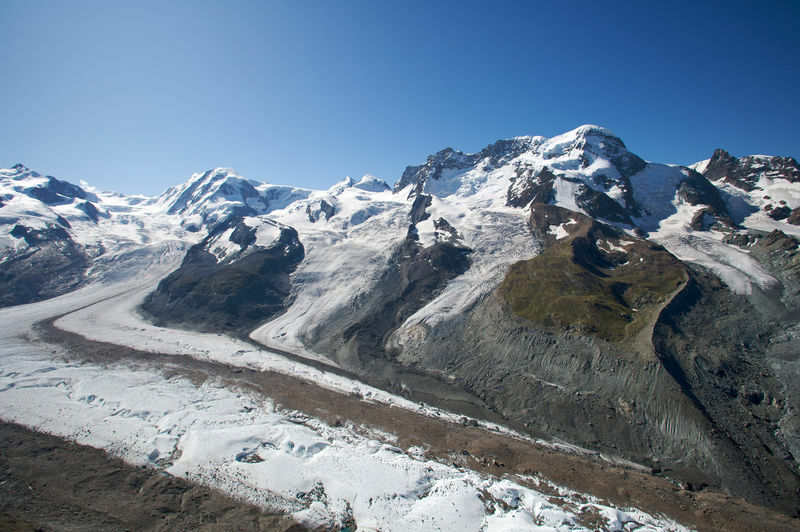 The border between Valais and the Autonomous Region of the Aosta Valley runs over the Breithorn. The peak also forms part of the main ridge of the Alps, which is both the regional watershed and meteorological divide. 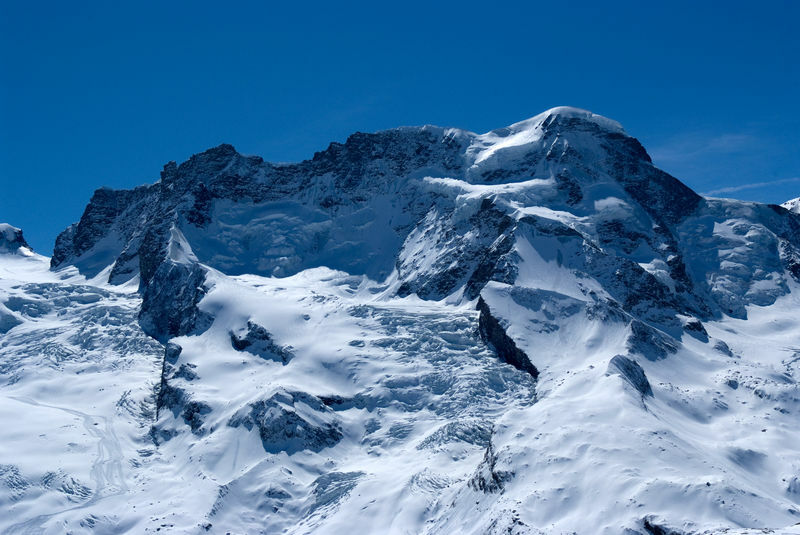 The Breithorn received its name from the canon Josef Anton Berchtold due to the remarkable breadth of the mountain. The naming of the mountains around Zermatt made great progress thanks to Berchtold. He was responsible for the appearance of a number of traditional Zermatt names on the Dufour map, the oldest official map of Switzerland. Zermatt mountain guides describe people who they could guide with a good conscience only on the Breithorn as “Breithoru-Liit” (Breithorn people). In July 1995, the Zermatt mountain guide Ulrich Inderbinen climbed the Breithorn and the Allalin more than a dozen times. He was 95 years old at the time. After a harmless fall on the return from the Breithorn, Inderbinen ended his 70-year career as a mountain guide in the summer of 1995.